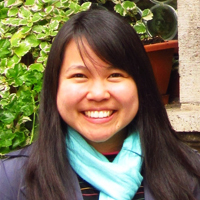 With her expansive knowledge in international relations focused on Asia, Andrea Chloe Wong offers a distinct outlook on China at the 2013 Global Emerging Voices program. She looks forward to sharing her perspective with other fellows from Europe and Asia towards fostering a deeper understanding on China’s growing influence in the world. A Filipino national of Chinese descent, Chloe possesses a personal affiliation and fervent interest in China and Asia that is very much apparent in her academic background. Chloe completed a Masters in International Affairs degree at The Australian National University in 2011. She also graduated with a Master of Arts degree in Asian Studies at the University of the Philippines in 2008. Moreover, she took a course in Chinese language and culture at the Beijing Foreign Studies University in 2005. These academic credentials have since equipped her in her professional endeavors in the field of international relations. Previously, Chloe has been a regular contributor for a business magazine focused on the Philippines’ trade and economic relations with China and the rest of Asia. Presently, she works in a government think tank devoted to research and policy advisory in international affairs. This broadly exposes her to both the academic and diplomatic communities in the Philippines and in other countries. Chloe serves as a Senior Foreign Affairs Research Specialist at the Center for International Relations and Strategic Studies, the research arm of the Philippines’ Foreign Service Institute. She contributes to the formulation and assessment of Philippine foreign policy that seeks to promote the country’s economic and security interests in Asia. In particular, she writes policy papers on the Philippines’ relations with the countries in Northeast Asia, with a focus on China’s growing influence in the region. As a China analyst in the Philippines, Chloe provides critical analysis on the impact of China’s rise in its bilateral relations with the Philippines, as well as its engagement with East Asia and its participation in regional community building. Recently, her work has been focused on China’s maritime interests and territorial claims in the South China Sea, which is considered one of the major flashpoints in the Asia Pacific region. She has written policy assessments for the Philippine government and evaluated the implications of the territorial issue on the Philippines’ relations with China and ASEAN. For Chloe, the Global Emerging Voices program is a good platform to compare European and Asian perspectives on China. With her participation, she intends to share her distinctive view on China’s rise from her perspective as a Filipino coming from a developing country in Asia. Likewise, she looks forward to learning from the other fellows’ broad-ranging views and expertise on China. Chloe looks forward to gaining a more comprehensive outlook on China’s growing stake in global governance. This will certainly provide her with a holistic view on the country that will equip her in her research and analysis on dealing with China as a global power.